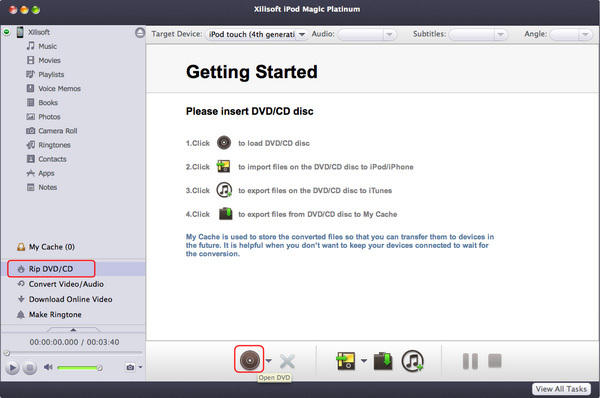 This tutorial can tell you how to transfer media files between iPod, Mac and iTunes, copy DVD movies and non-iPhone videos to iPod, make ringtone and download online videos by Xilisoft iPod Magic Platinum for Mac. 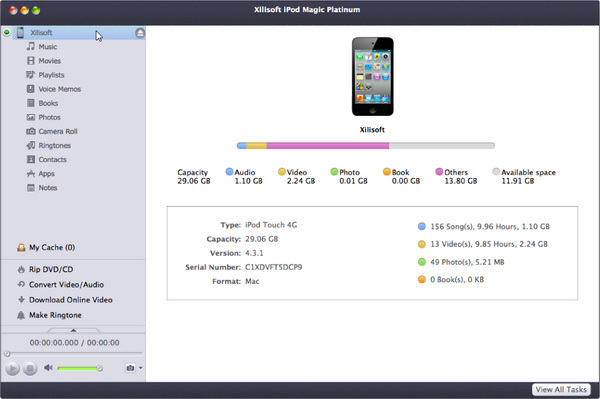 And here we would like to note you that all functions of Xilisoft iPod Magic for Mac apply to all iPod, iPhone models, latest iPhone 5, iTunes 10.7 and iOS 6. 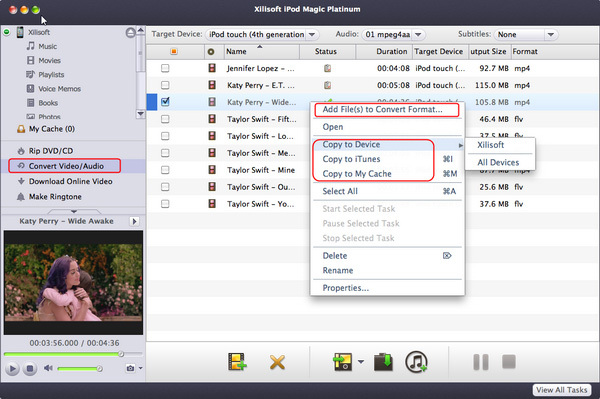 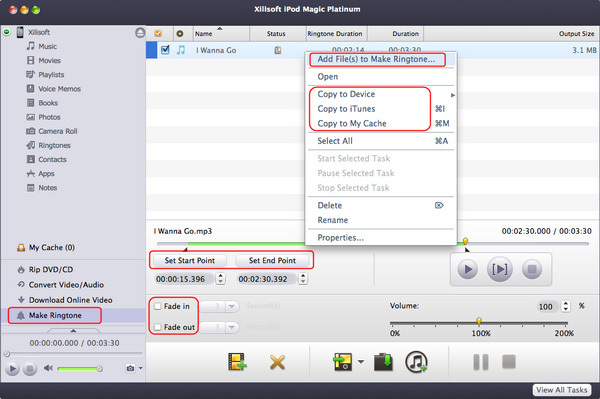 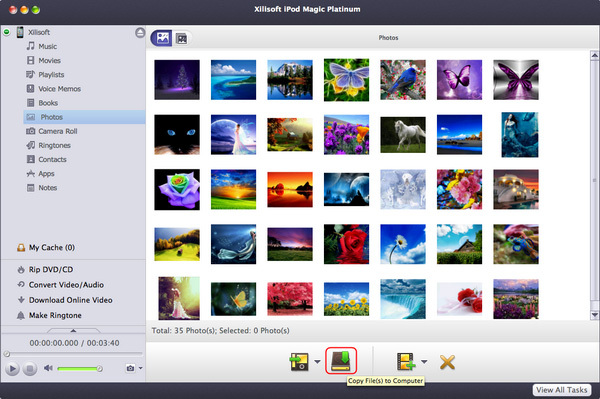 First, free download Xilisoft iPod Magic Platinum for Mac, install and run it. 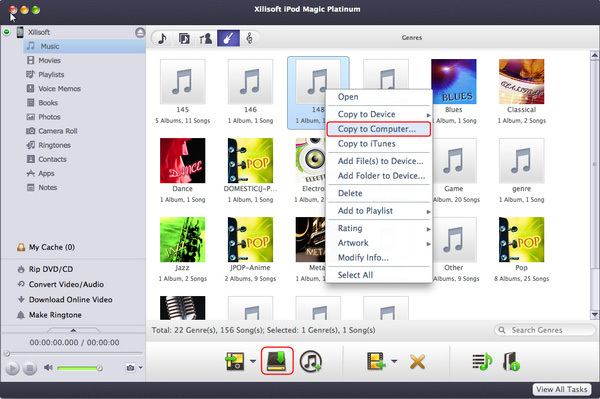 Connect your iPod/iPhone to computer, the application will recognize the device automatically and displays the device information in the interface. 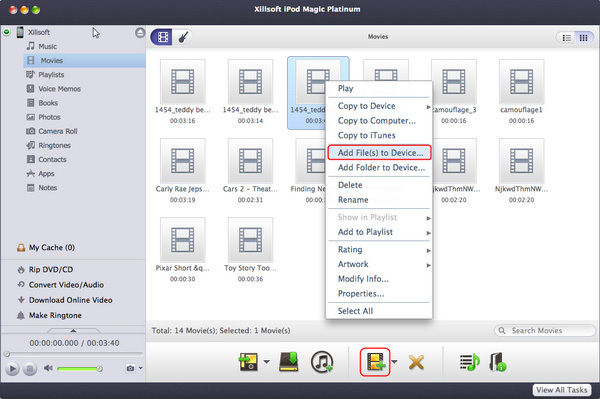 The program helps you transfer iPod/iPhone music, movies, books, applications and photos to Mac for backup. 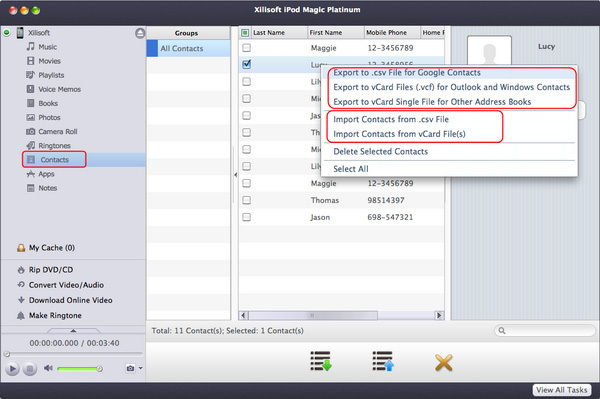 It offers best solution for users to transfer SMS and iMessages from iPhone including iMessages form iPod touch and iPhone to Mac to back up your important messages.